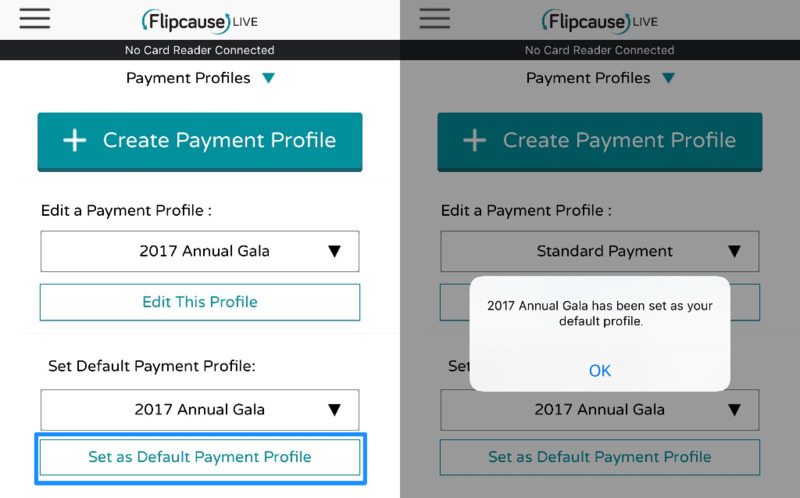 If you're running payments for a specific event that has a specific tax and receipt configurations, it's a good idea to set the default payment profile for the event. 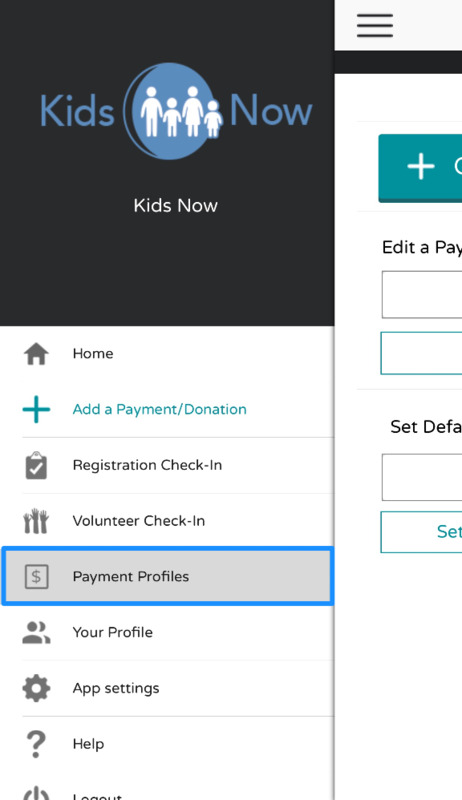 That way, you don't have to remember to select this profile every time you run a payment during the event. 1. Access Payment Profiles by selecting it from the side menu settings. Tap the hamburger menu at the top left corner to reveal the side menu, and tap Payment Profiles to access. 3. You'll receive a notification to confirm the profile saved successfully. This is now the default option whenever you run payments in the app. You can change this setting whenever you like.